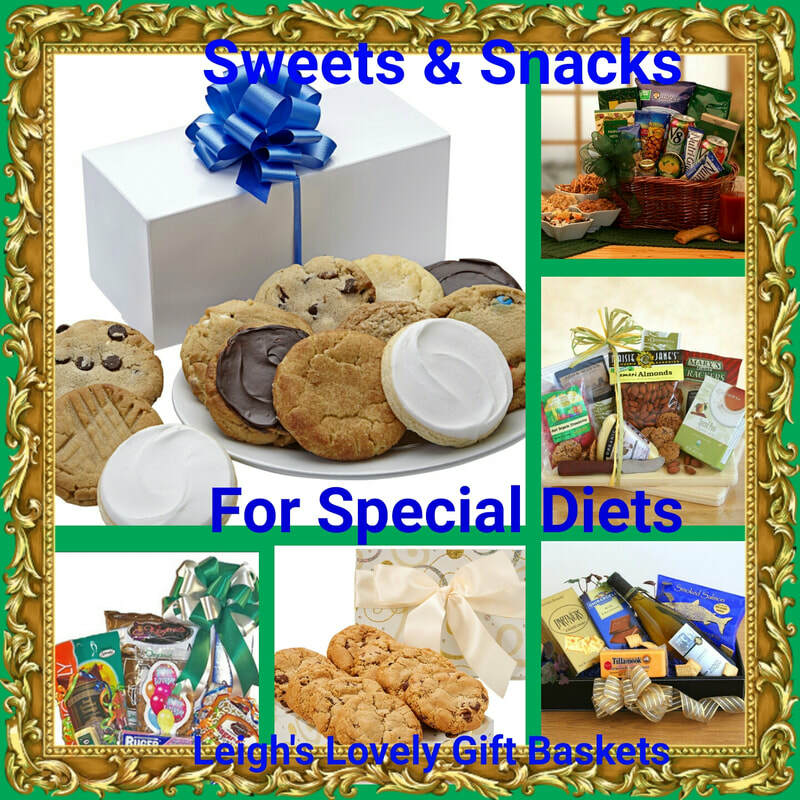 Thoughtful gifts for all of the occasions of your life! 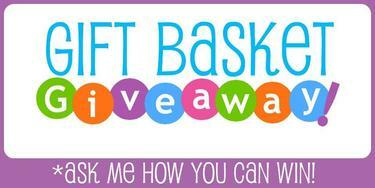 Click here to register for the Free La Bella Baskets Monthly Drawing! 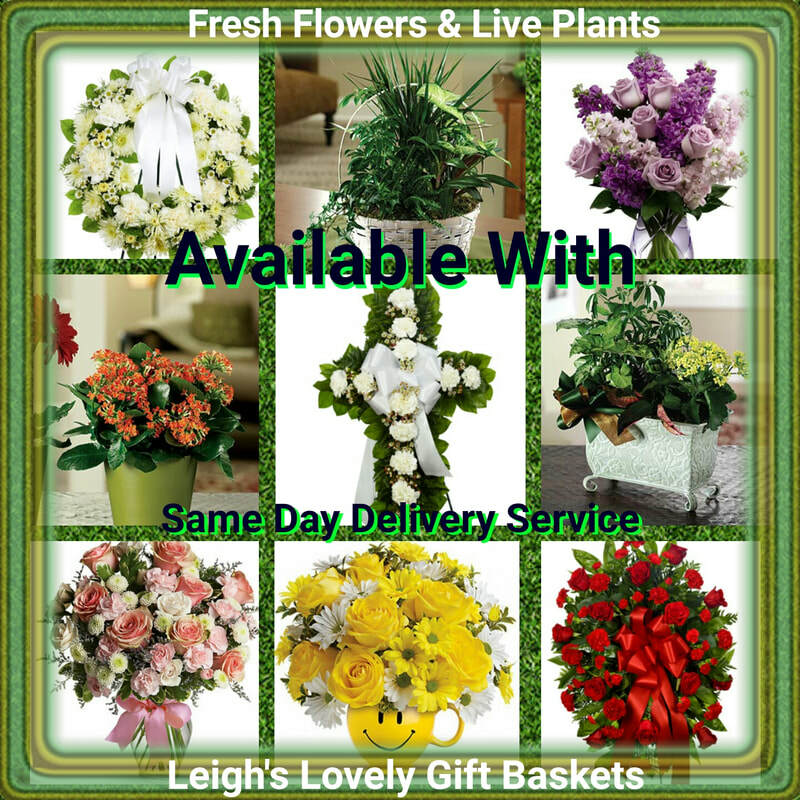 Fresh flower bouquets and live, indoor plants are arranged and delivered by a network florist to residential and business addresses, hospitals, nursing homes and funeral homes. Order before 10 am EST for Same Day Delivery or schedule a date in advance! Next Day & Saturday Delivery selections are shipped overnight via UPS. No delivery is available to hospitals, nursing homes or funeral homes. 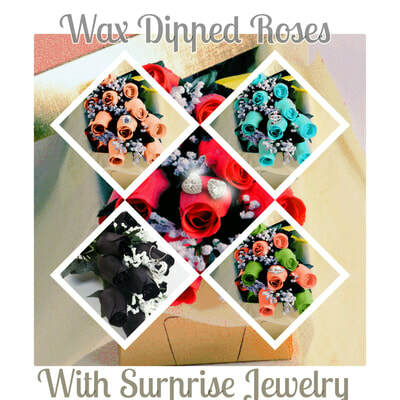 Wax Dipped Roses are delicately crafted from wood then dipped in colored wax with your choice of four scents or unscented. Each bouquet includes a Surprise Jewelry Item. Scents last up to six months and can be refreshed with floral spray or perfume. Love fragrance? Several scents are available in bath bombs, wax melts for warmers and candles. 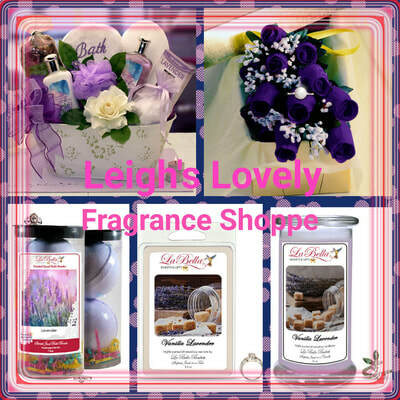 Several scents are available in all three items and contain Surprise Jewelry items! 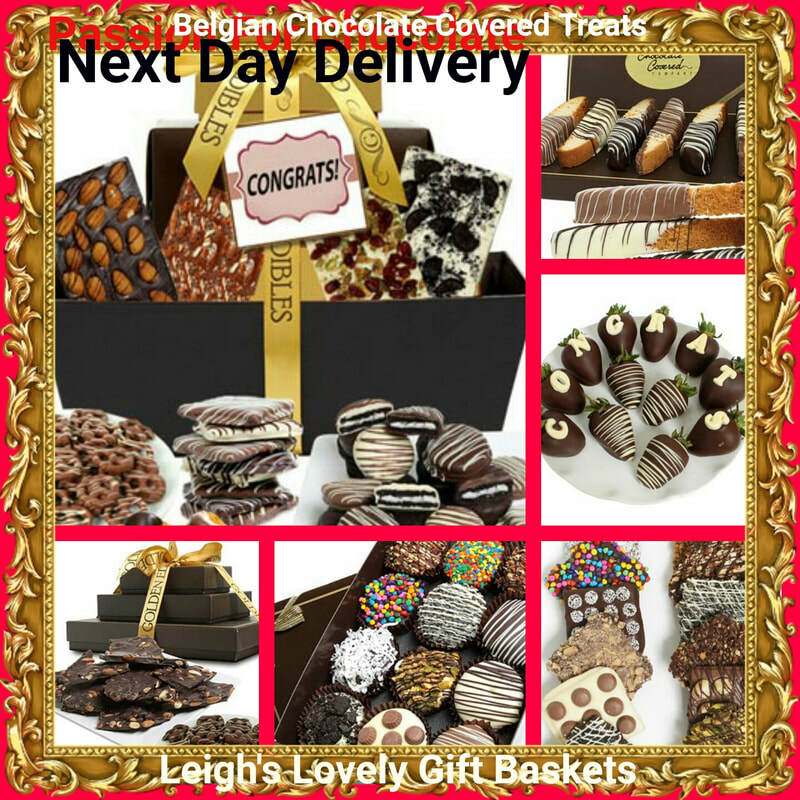 Delectable Belgian Chocolate Covered Treats with Next Day Delivery Service through our Network! Click here to connect and shop for Cookie Bouquets for every occasion! Banner connects you to Happy Bee Day Cookie Bouquet in the top left corner. 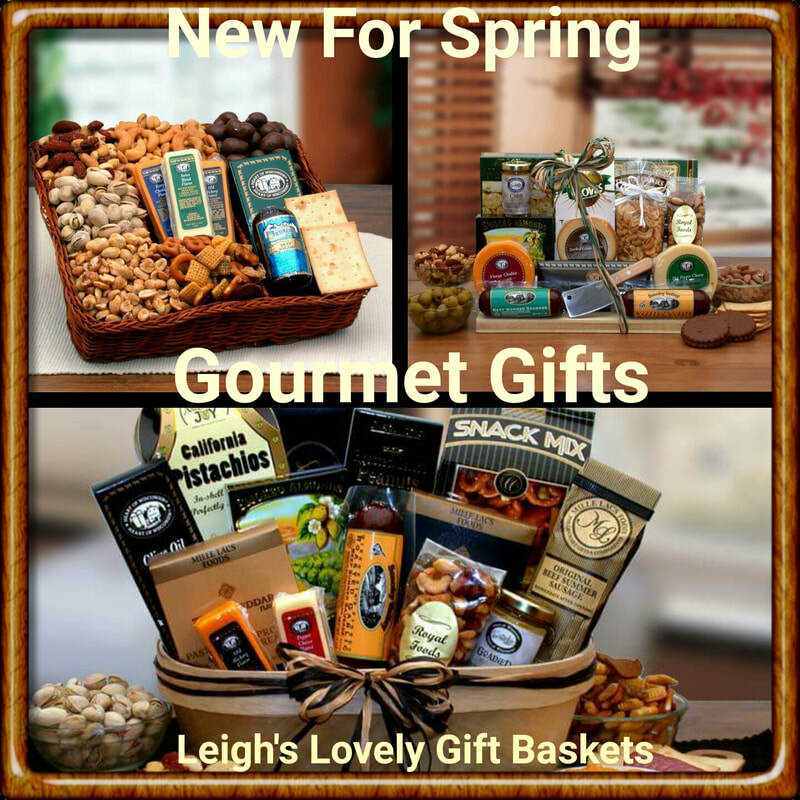 Satisfy hunger anytime with these all occasion gourmet meat, cheese and nut gift baskets! Connect to the New Arrivals category via the gift basket on the bottom of the collage. 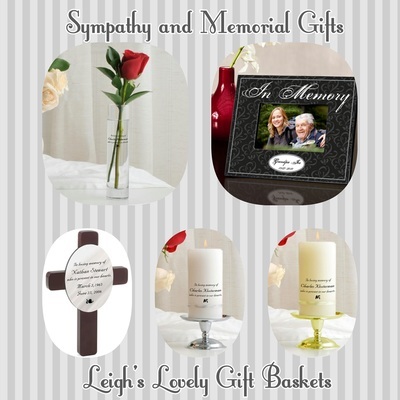 Honor a loved on with any of these thoughtful Memorial gifts with free personalization for a truly unique gift. Frame, Cross, Candle and Candle Stand Set are available in my Personalized GIfts Store. Click on this collage banner to connect to the Candle and Stand Set . Click on the category heading to see the entire category of gifts. Sorry, the vase is no longer available. 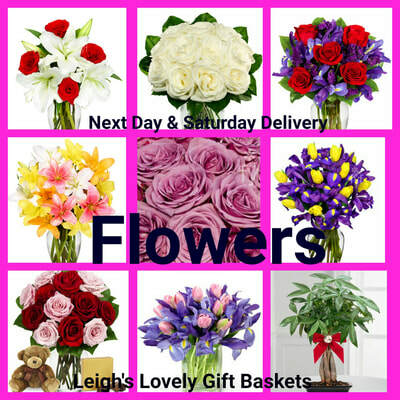 These beautiful floral arrangements offer Same Day Delivery Service to funeral homes if you order before 10 am EST, Monday- Friday. 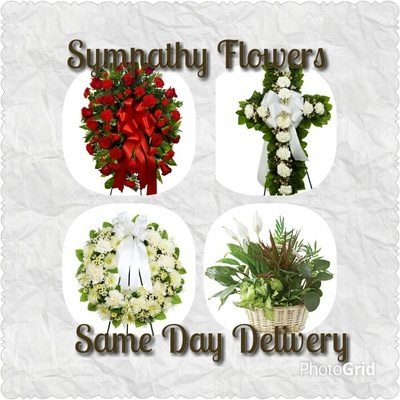 The three standing arrangements offer a free, customizable Sympathy Banner. Click on the collage banner to connect to the arrangement in the top left. Click on the category heading to view the entire category. 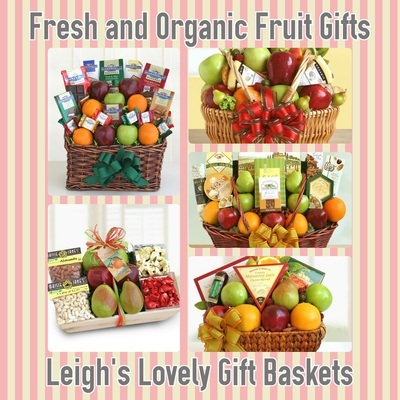 Fresh fruit gifts are a thoughtful way to ensure that loved ones snack on wholesome foods while in mourning. Click on the collage banner to connect to the fruit basket in the bottom right. Click on the category heading to view the entire category. 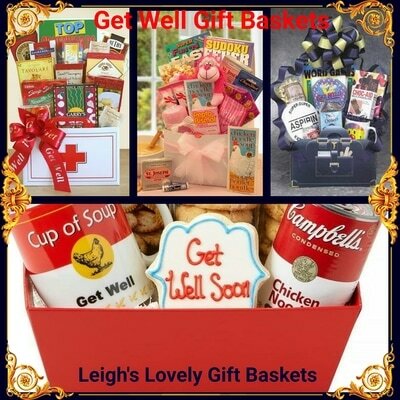 Get Well Gift Baskets bring gourmet comforts and smiles when someone special is sick or recovering from surgery. This banner connects to the Get Well category via the Classic Care Package in the upper left corner. 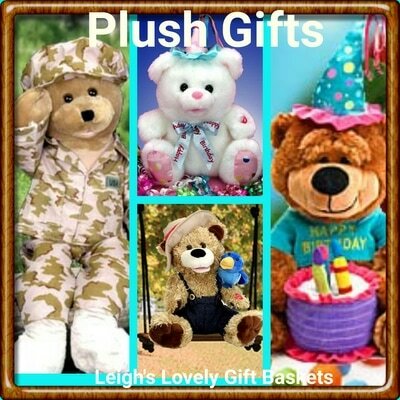 Animated " Singing" Plush gifts are great for Birthdays, Get Well, Thinking of You and holidays. Banner connects to the Plush category via the American G. I Hero Plush on the left. New Baby Cookie Bouquets. It's a sweet way to welcome the new baby boy or girl. Great Baby Shower gift too! Personalized Gifts to celebrate a new life! Celebration Signature Frame and adorable printed onesies. 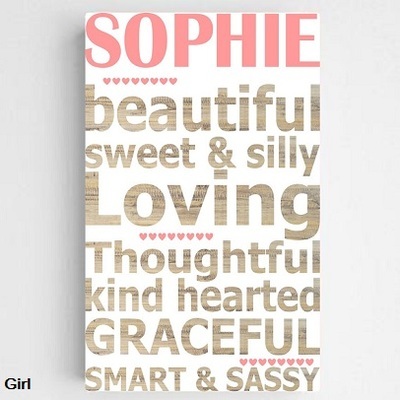 Personalized Decorative Gifts For The Baby's Nursery. Other Children's Personalized Gifts included. 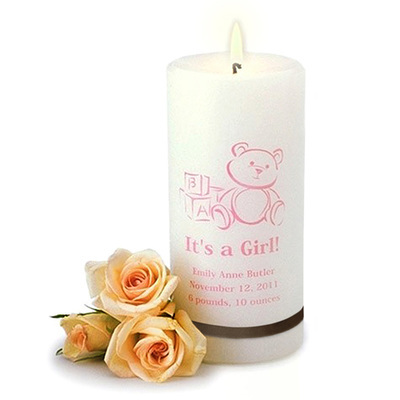 Personalized Candles to celebrate and welcome the new baby. Baptismal, Birthday and Holy Communion are also included. Click on the Personalized Candles category heading to see the entire collection. 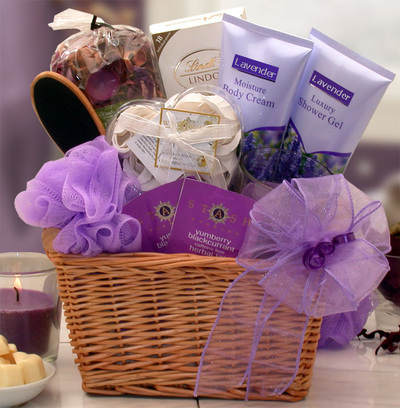 Thoughtful Spa and Bath Gift Baskets to pamper the New Mother! 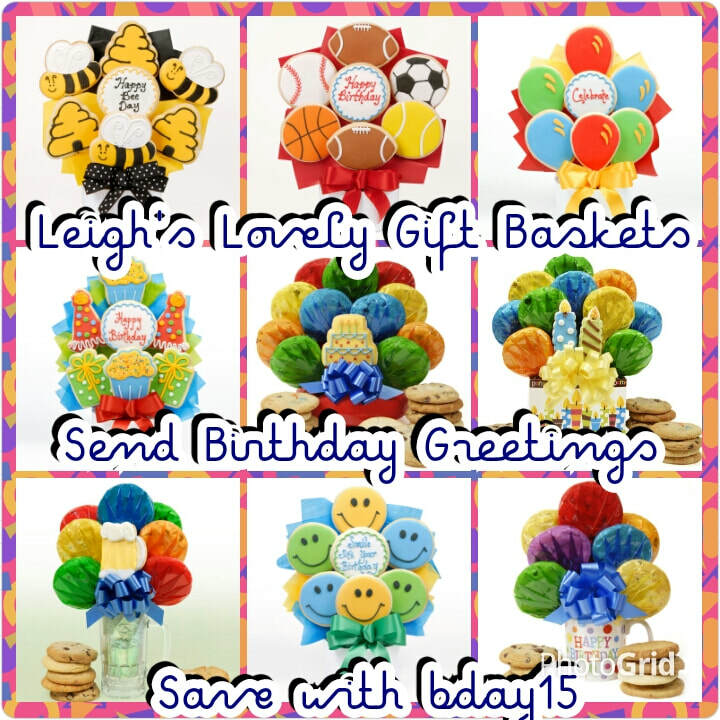 Birthday Gift Baskets for the young and the " young at heart" ! Over the Hill humorous gifts can be found here. Plantable Greeting Cards that will grow wildlowers, herbs or vegetables. 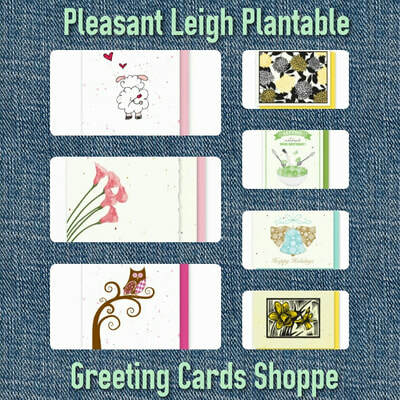 Available in single design packs or variety packs, Economical and eco-friendly greetings! 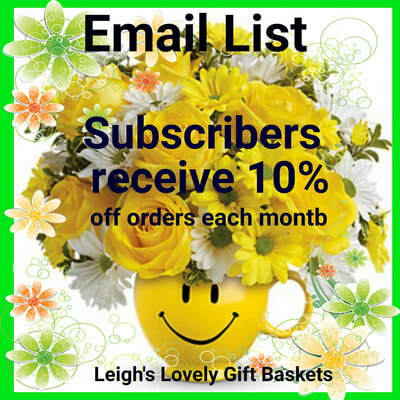 Visit my Pleasant Leigh Plantable Greetings Shoppe here on Leigh's Lovely GIft Baskets for the entire collection! All Occasion Cookie Bouquets. Send delicious greetings they'll remember! 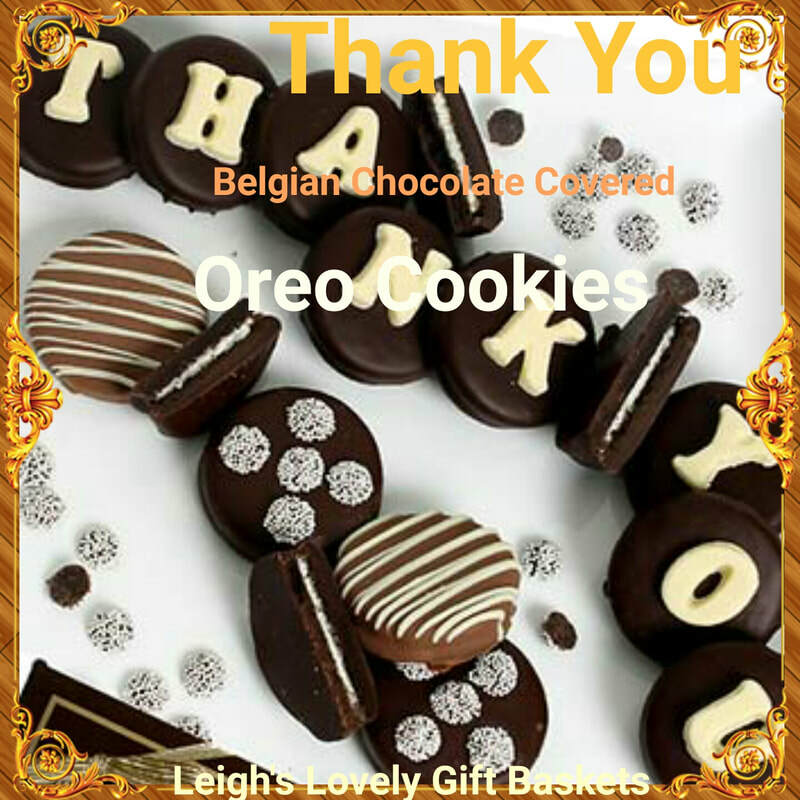 Thank You Gift Baskets are perfect way to express appreciation for a job well done or a kind favor. Care Packages For Our Troops, Students, Get Well, Children, Family Game Night and more! Realtor and Housewarming Gift Baskets. Welcome them to their new home with these delightful gifts! 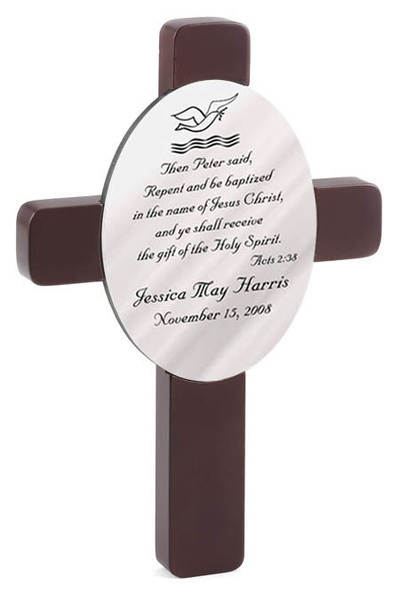 Personalized Crosses for Baptism, Confirmation, First Holy Communion, Wedding, Anniversary and more! 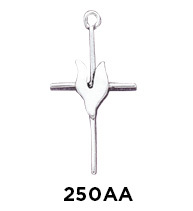 Sterling Silver Charms of Faith and Inspiration. 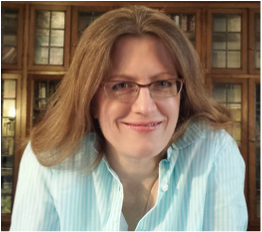 Select a bracelet, earrings or necklace from my Sterling Silver categories to create custom jewelry. Sterling Silver necklaces, bracelets and earrings to display your charms. Build keepsake jewelry to cherish! 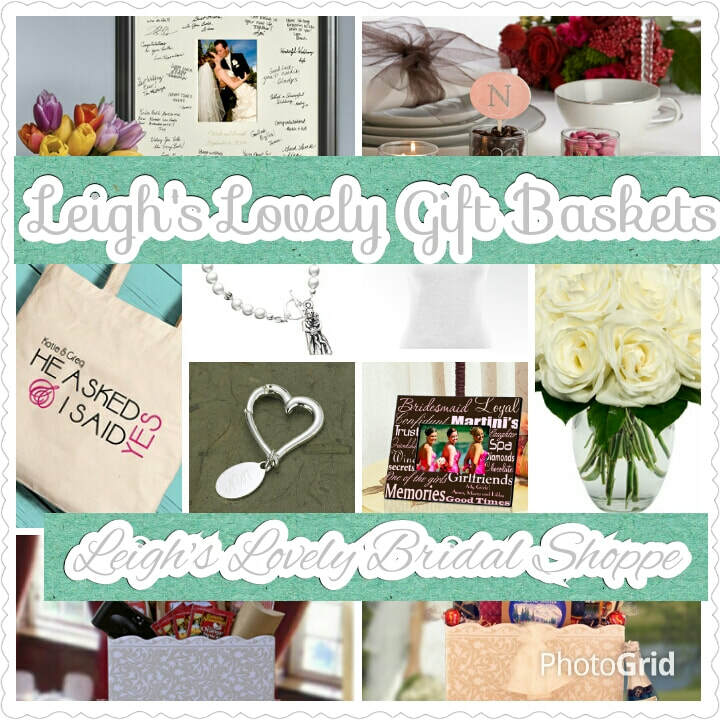 Leigh's Lovely Bridal Shoppe has everything a bride needs for her wedding day and more! Click on this collage banner connect and get started! 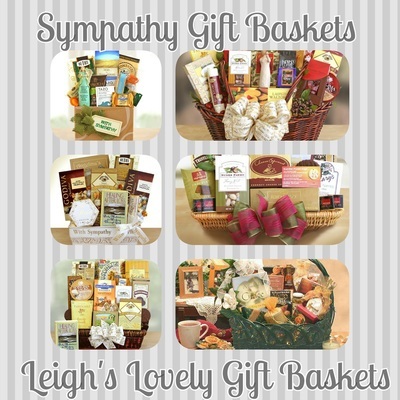 Leigh's Lovely Gift Baskets is here to assist brides with their planning. 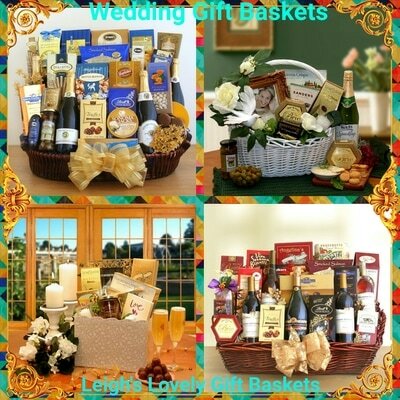 Wonderful gift baskets for the Bride and Groom! Banner connects to the Sparkling Sensations Wine gift basket in the upper left corner. Click here to shop for eco-friendly greeting cards that grow wildflowers, herbs or vegetables! Click here to shop for all gifts with fragrances. Unscented options are available with two wax dipped roses, candles and tarts. Shop for Men's and Women's Jewelry and Watch Boxes. 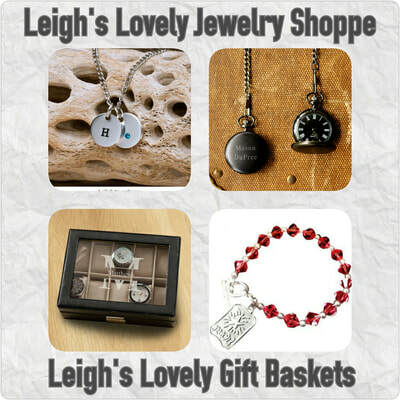 Thank you for visiting my Leigh's Thoughtful Shoppe!